For over 15 years Howie has offered his services as a third party neutral including serving as an arbitrator and mediator in the civil litigation field. He is well respected by his peers for his ability to connect with the parties and his desire to see the matter to a resolution. He has mediated in all areas involving claims for personal injuries, whether it is a products liability matter, a medical malpractice suit, a civil rights claim or an automobile accident. He has also served as a Special Master in the Court of Common Pleas of Allegheny County, presiding over both jury and non-jury trials. In addition to his ADR practice, he handles a broad range of claims brought against nursing homes, as well as personal injury matters, civil rights and municipal law. Howie has represented both self-insured and insured entities in medically-related claims, as well as representing plaintiffs in medical malpractice and other personal injury lawsuits. Howie is a Past President of the Allegheny County Bar Association, an organization of over 6500 attorneys. He has been an active member of the Bar for years, including a role on the Board of Governors for two successive 3-year terms from 2000 to 2006. He had previously been elected to the Judiciary Committee, serving as Chair in 1999, and has participated on numerous other committees and sections of the ACBA, including a two-year term as Secretary beginning in 2007. He is also very proud of his induction into the Academy of Trial Lawyers of Allegheny County and has served on its Board of Governors. 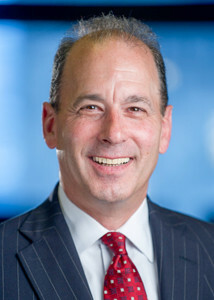 Howie has been named a Pennsylvania Super Lawyer from 2006-2010. A Pennsylvania State University graduate, Howie earned his JD from Duquesne University School of Law.